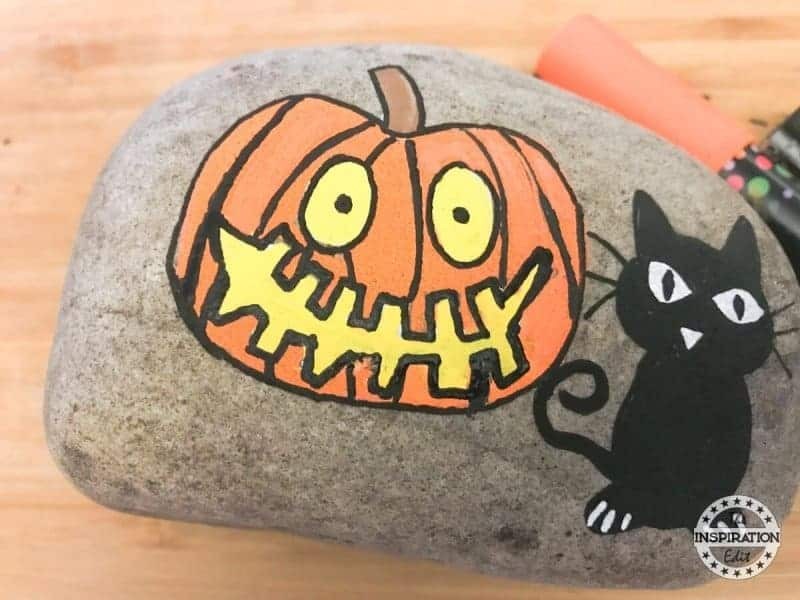 Are you looking for a Halloween rock painting idea for kids? 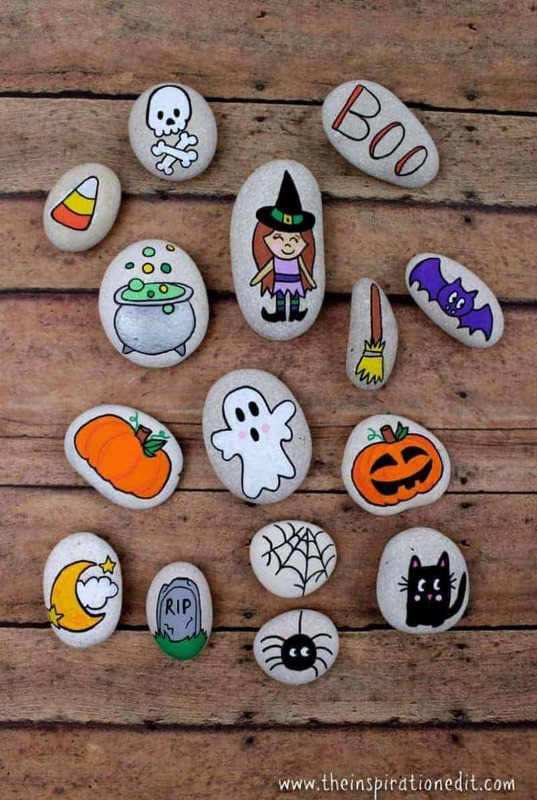 I’m a huge fan of painted rocks and Halloween is always such a fun time of the year for getting creative. I’m sure you will love these Halloween Rock Painting Ideas and hope you have fun reading my tutorial. 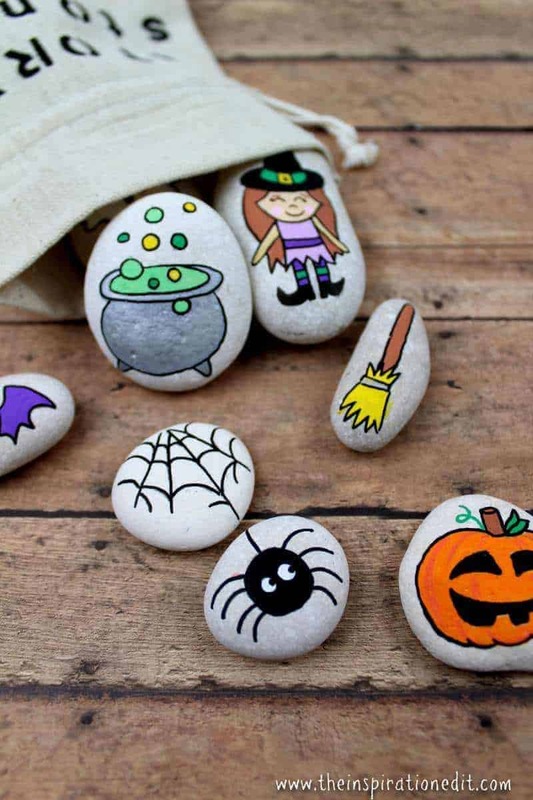 As someone who enjoys painting rocks on a regular basis I often like to look for examples of painted rocks to try out and I hope these rock stone examples give you some good ideas for Halloween. 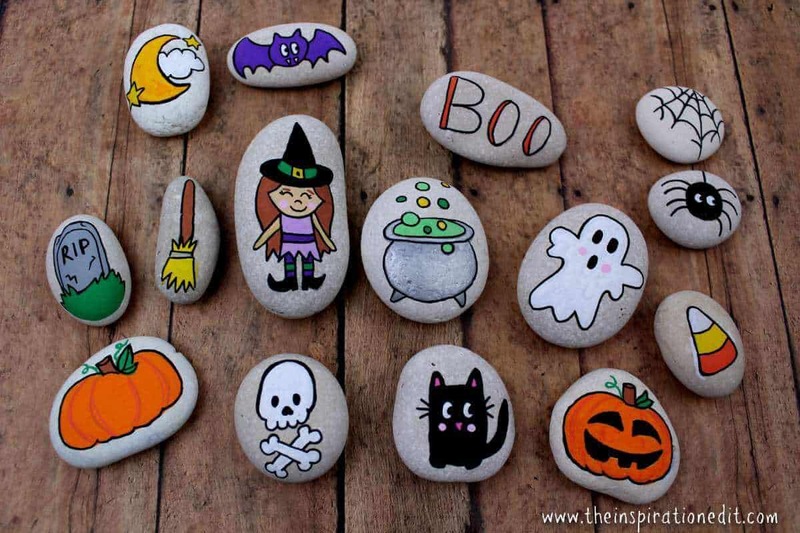 There are lots of different supplies that you can use when halloween rock painting. 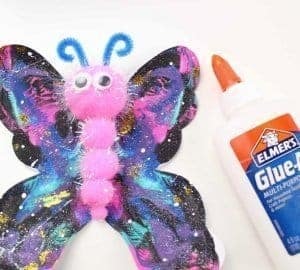 You may want to try different stone painting techniques such as painting with acrylic paint and a thin paintbrush. My favourite method for painting rocks is to use posca paint pens. 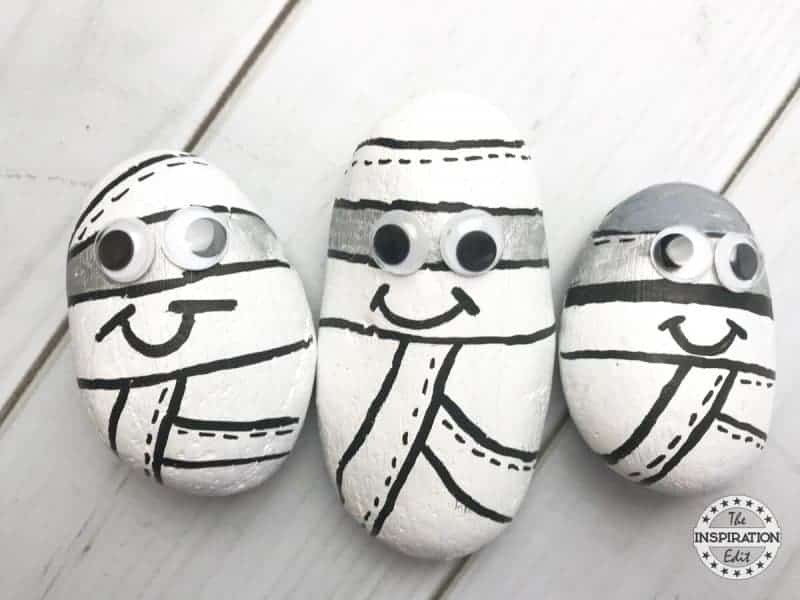 This is a good option for painting rocks with children and can help little ones to develop fine motor skills whilst having fun and trying out a new art form. 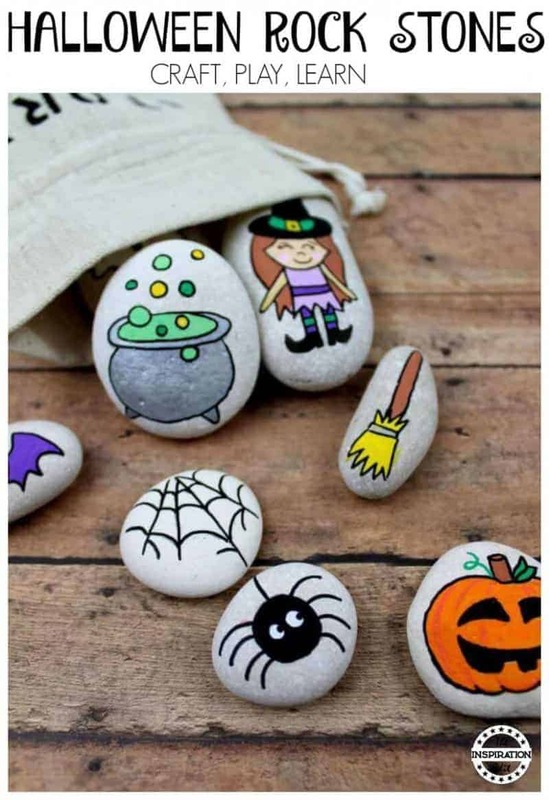 If you plan to make a whole set of painted rocks like the ones below you might want to purchase a small canvas bag to store your painted rocks. 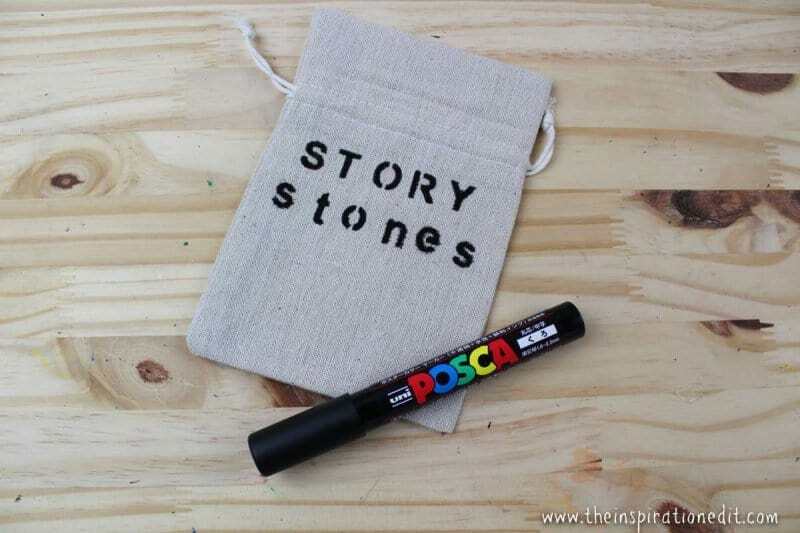 Posca Marker Pen Tips – They Are Fantastic For Rock Painting. I use the thin posca marker pens for drawing the outline and adding detail to my painted rocks. Larger posca marker pens are great for filling in the large gaps. You can pull out the nib once it has worn down and turn it around to increase the life of your posca pen. 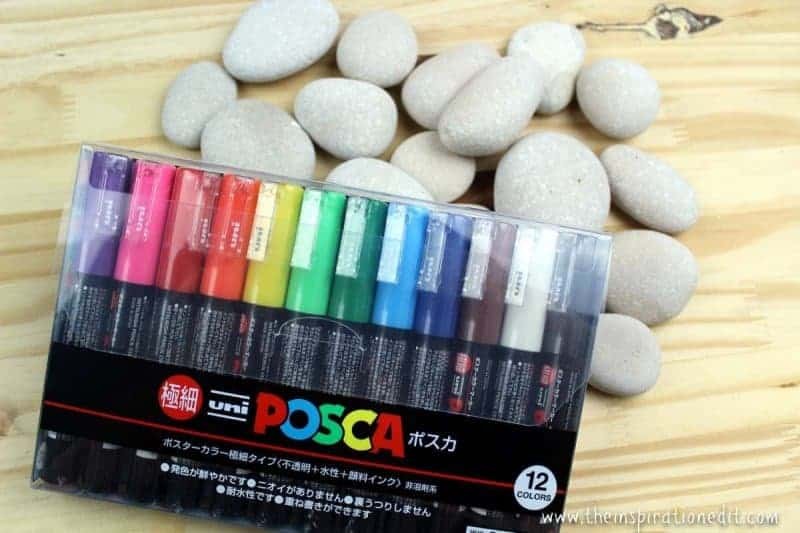 I have purchased Posca pens from the USA, the UK and Japan via Amazon and they have all been good quality. First you will need to rinse your stones in warm water until all of the powder has been removed. Set the rocks on a towel and allow to dry completely. Use a pencil to sketch the design onto the stone. Use paint pens to colour the stones. Use a black paint pen to outline the painted stone. You are now ready to use your stones to narrate a story. You can even flip them over and write words on the back of the stones. If you’d like, create a small canvas bag to store your story stones. 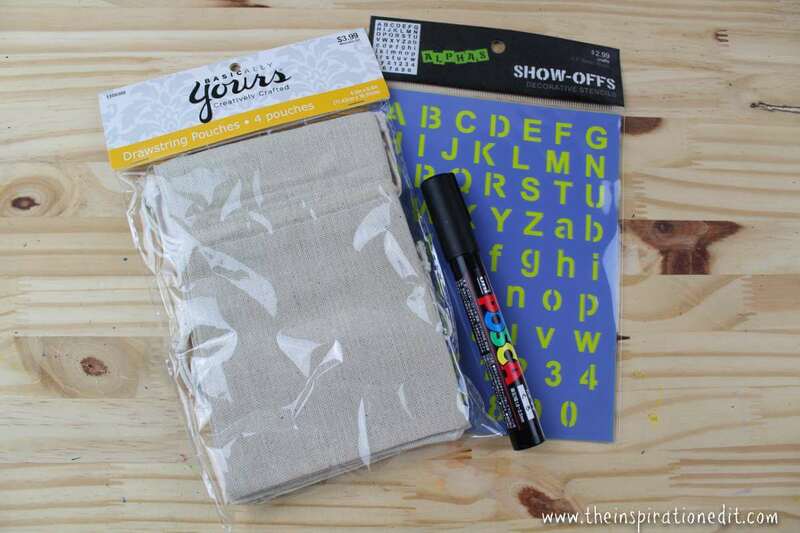 Use an alphabet stencil to paint words onto the canvas bag. Allow to dry completely before storing your stones. If you’d like to protect your stones for many uses, use a spray sealer or Modge Podge. 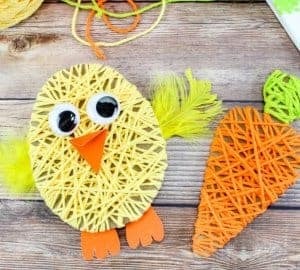 Love this idea so simple at cute too. I like that u can do didn’t themed story stones too not just for Halloween. 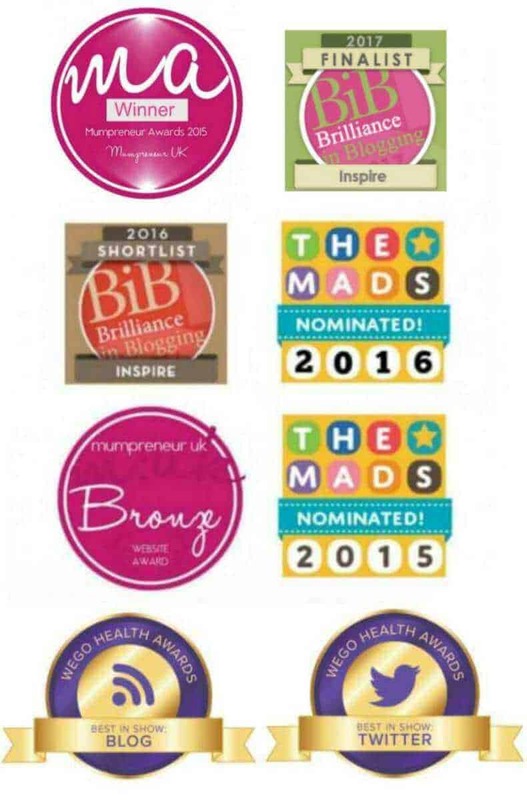 Yes they look fab don’t they! These are awesome. You have a talent at drawing and I love the idea of story stones, not something I’ve come across before. 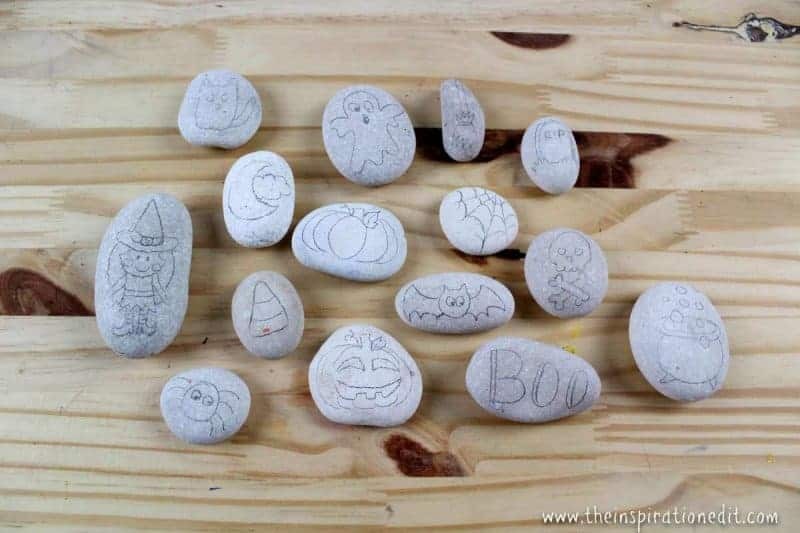 Such a wonderful idea to create Halloween inspired story stones. Little man would love this! Now these are such a lovely idea and it looks like the pens have worked so well on the stones as well. Yes, I want to order some more on Amazon. Oh we all have talents in different areas. I need to practice this myself as I need to improve at my crafts. Those are so cute, and I bet there were loads of fun to paint! You did a great job with the artwork – very talented! They are lovely. I like them. Oh wow these are amazing!! I’m terrible at stuff like this, I’m way too clumsy! Gorgeous craft! I’m glad you like them Laura. Yes it can make learning fun adding words to the stones. Awwwh story stones are awesome and you made these ones look so awesome!! I shoukd really do more of this stuff!! What a great idea! 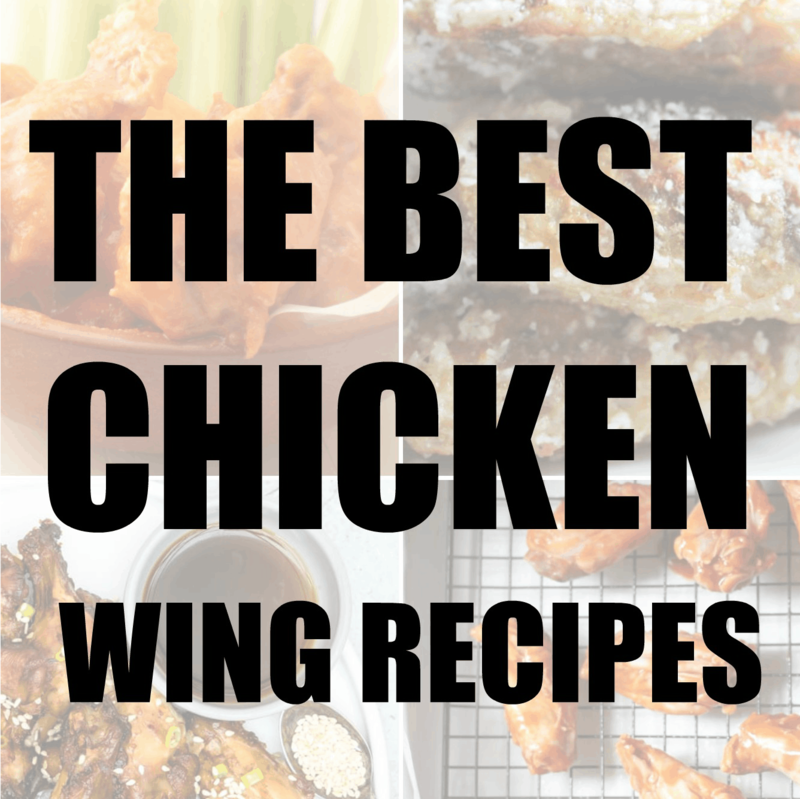 Miht make some for Christmas too! oh thanks. Yes I would like to make some NATIVITY ones. 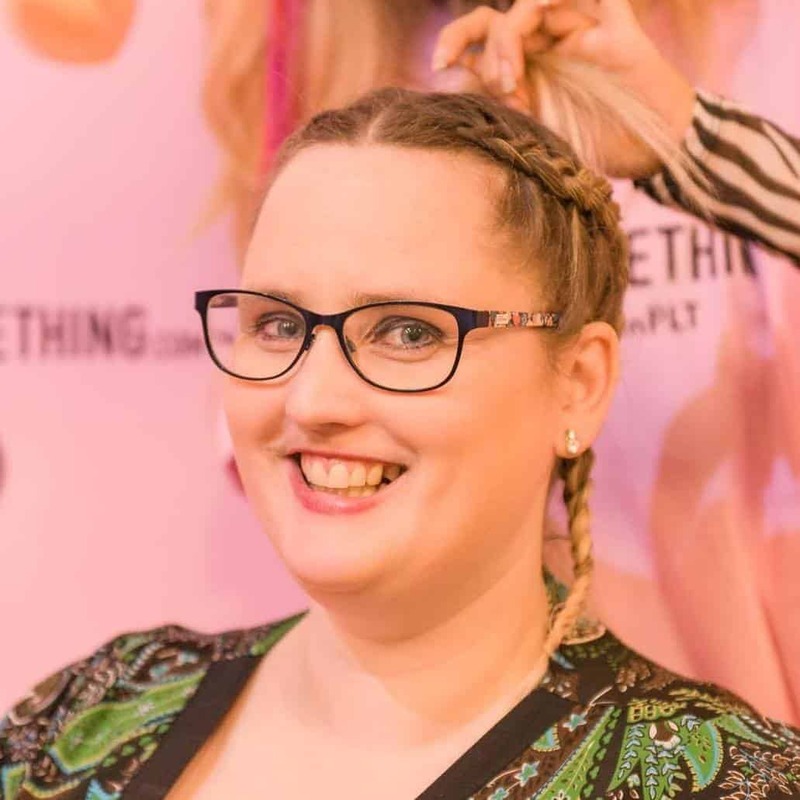 Oh wow, I LOVE this idea. And your drawing skills are kind of amazing. These are too cute. These are SO cute. 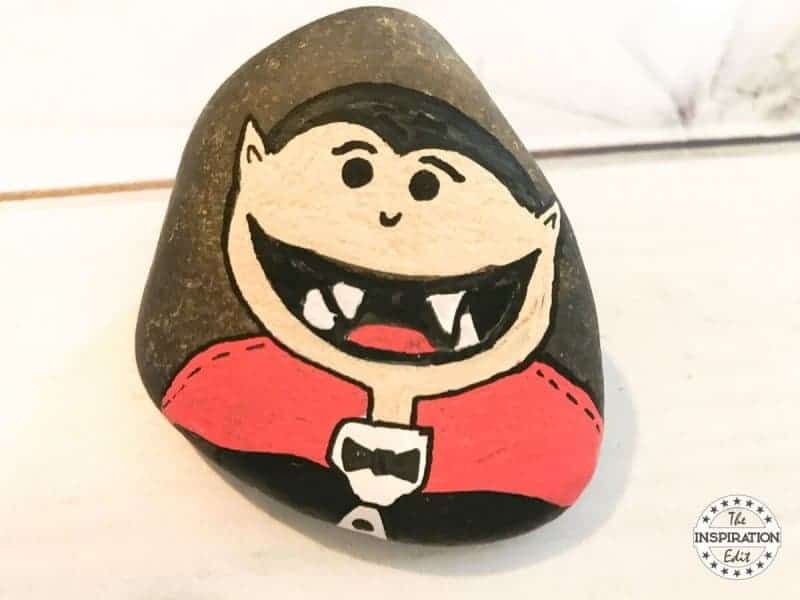 I have been part of the Kindness rocks rock painting thing for a while, and I was JUST thinking about painting a bunch of Halloween rocks to hand out on Halloween. So fun. I’m so glad you like them Angie. 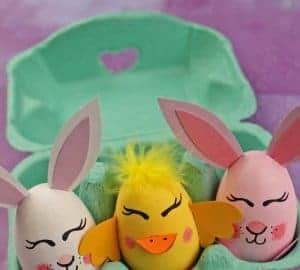 It’s something I really enjoy, rock painting and always love to share fun ideas!